1.1. Put Sonoff into programming mode. ESPHome can be used with Sonoff Basic. These devices are basically just an ESP8266 chip with a relay to control the connection, a small button on the front and a green LED light. This guide will not guide you through setting up your Sonoff Basic step-by-step. It just provide a sample configuration. 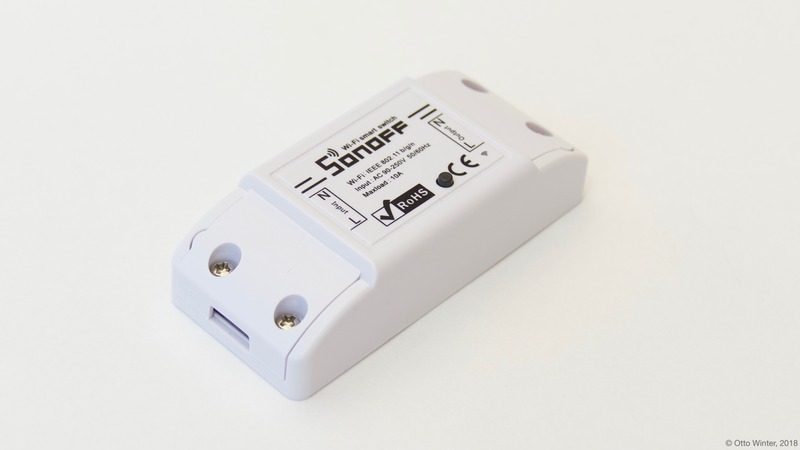 For detailed instructions, see Using With Sonoff S20, as those devices are pretty similar. If you’ve previously installed Sonoff-Tasmota or ESPurna on your Sonoff Basic, you’re in luck 😀 ESPHome can generate a firmware binary which you can then upload via the web interface. The Sonoff Basic is based on the ESP8266 platform and is a subtype of the esp01_1m board. With this information, you can also step through the ESPHome wizard (esphome sonoff_basic.yaml wizard) if you don’t want to use the sample configuration file from below. Below you will find a table of all usable GPIO pins of the Sonoff Basic and a configuration file that exposes all of the basic functions. Now run esphome sonoff_basic.yaml compile to validate the configuration and pre-compile the firmware. Ensure you have soldered on the additional header pins to the PCB and connect your USB FTDI programmer. See https://randomnerdtutorials.com/how-to-flash-a-custom-firmware-to-sonoff/ for more details on the pinout and FTDI. Press and hold the toggle pin (long black pin next to LED and custom soldered pins). Supply USB power to Sonoff via FTDI (e.g. plug in USB to the FTDI, or use a power switch as explained in link above). Keep holding the toggle pin for approx 3-5 seconds now you should be ready to program. If you get a message unable to communicate when trying flash, check your TX/RX pin or retry entering boot mode again. 3.3V setting on FTDI, 5V will cause damage. Ensure the connections on the PCB starts at the closed to the toggle pin, it uses 4 pins, but 5 pins are soldered on. TX and RX should be swapped - RX on Sonoff goes to TX on FTDI. Or if you’re using the dashboard, just click the “UPLOAD” button. Once you have flashed the device, nothing will happen. You need to power cycle the device. You will notice the LED will start to flash and then becomes solid once connected to the WiFi network. Before installing the Sonoff, do a final OTA test, and this time selecting the OTA option and NOT the USB option when reflashing. Once these actions succeeded you are pretty much in the clear and can be sure your device is ready.